On May 13, 1888, the Lei Áurea (Golden Law) was signed by Princess Isabela of Brazil which finally abolished slavery in Brazil, making Brazil the last nation in the western hemisphere to free its enslaved people. In Santo Amaro, a Bahian Recôncavo town, Bembê do Mercado is a festival that commemorates this event every May 13. 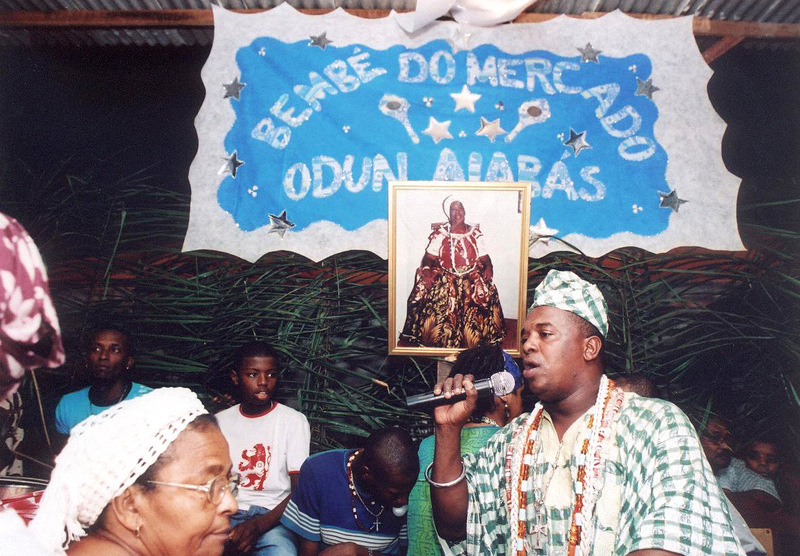 Candomblé rites are practiced under a barracão (a big tent) with religious icons and symbols set up in front of the town’s mercado (market). Musical shows, capoeira, samba de roda and maculelê are some of the highlights of the celebration. Nego Fugido, a reenactment of a slave escape attempt that resulted in recapture and the purchase of manumission, takes place in the streets. At the end of the celebrations, a fireworks display is followed by a ritual offering to Iemanjá at nearby Itapema Beach. It should also be noted that many other Afro-Brazilians do not commemorate this day and have branded it as the Day of “Falsa Abolição” (False Abolition) because the law did nothing to guarantee a better life for the hundreds of thousands of slaves in Brazil, like providing education, land, or monetary grants, which effectively kept them from advancing and participating equally in Brazilian society. Afro-Brazilians fought for their freedom, and continue to fight to this day, for political, social, and economic justice.